GIGABYTE Ultra Durable 4 Plus debuts on GIGABYTE motherboards, with a range of features and component choices that provide record-breaking performance, cool and efficient operation and extended motherboard lifespan. 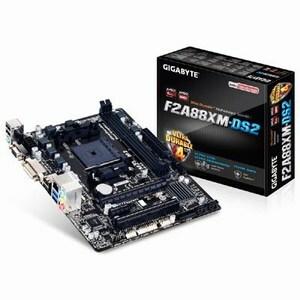 GIGABYTE motherboards feature GIGABYTE DualBIOS, an exclusive technology from GIGABYTE that protects arguably one of your PC's most crucial components, the BIOS. GIGABYTE DualBIOS means that your motherboard has both a 'Main BIOS' and a 'Backup BIOS', making users protected from BIOS failure due to virus attack, hardware malfunction, improper OC settings or power failure during the update process.